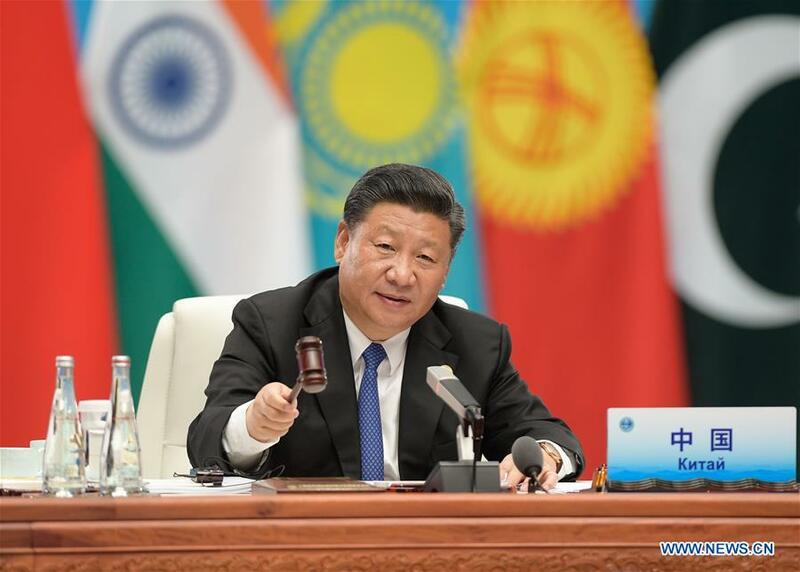 QINGDAO, June 10 (Xinhua) -- Shanghai Cooperation Organization (SCO) member states should work closely to build an SCO community with a shared future, Chinese President Xi Jinping said on Sunday. "The Shanghai Spirit is our shared asset, and the SCO is our shared home," Xi said at the 18th Meeting of the Council of Heads of Member States of the SCO held in the eastern Chinese coastal city of Qingdao. "We should, guided by the Shanghai Spirit, work closely to build an SCO community with a shared future, move toward a new type of international relations, and build an open, inclusive, clean and beautiful world that enjoys lasting peace, universal security, and common prosperity," he said.